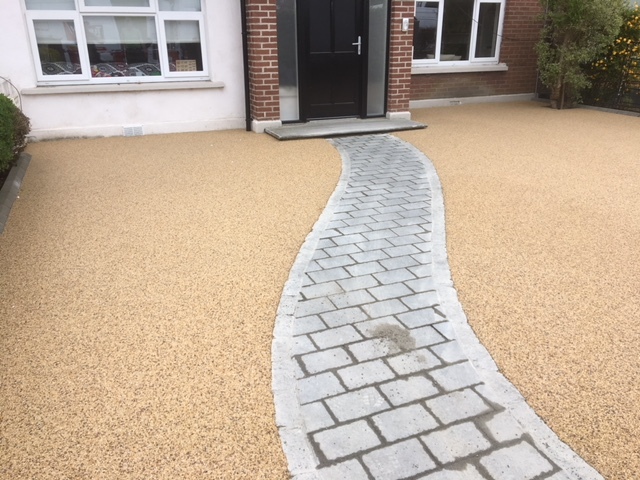 There are many different driveway solution for you home in Dublin. Many new homeowners usually put down some decorative stone for a few years. However after this time-frame new homeowners usually look around for the best driveway solutions. 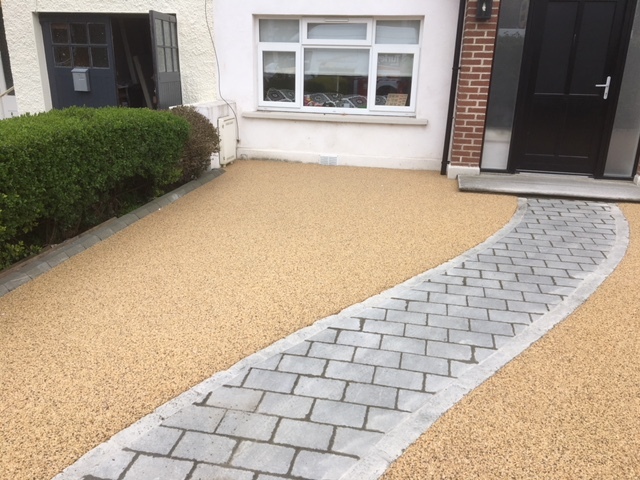 We believe that the best option is a resin bound aggregate driveway. There are many reasons for this. Firstly is our ten year guarantee that we offer which gives homeowners peace of mind. We only use a UV stable resin so we have no problem standing over our work. Another benefit with the resin is that there are no joints in it so you will nor have the problem of weeds growing through it so essentially there is no maintenance with it. One of the big issues with driveways can be the frost and salt from you car. Neither of these have any effect on the resin so again its a massive benefit. Many driveways surfaces (especially concrete) will be destroyed very quickly if there is a heavy frost or if road salt gets onto this. One of the other benefits is its durability and the fact that it will keep its colour better than the alternatives. 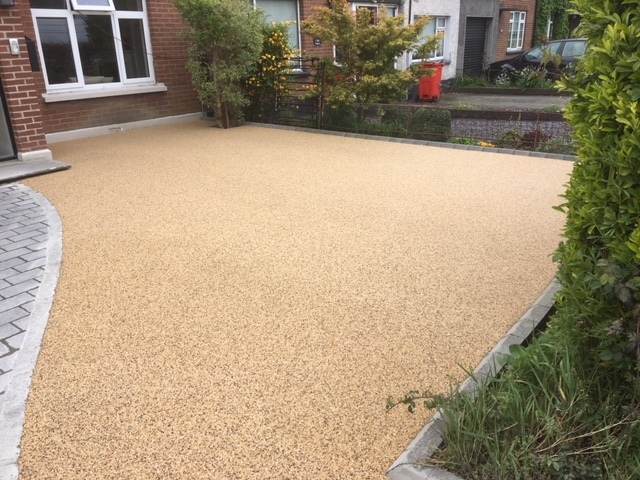 If you get tarmac, concrete brick paving or cobbles they very quickly loose their colour however one of our guarantees is that the resin bound aggregate will keep its colour. 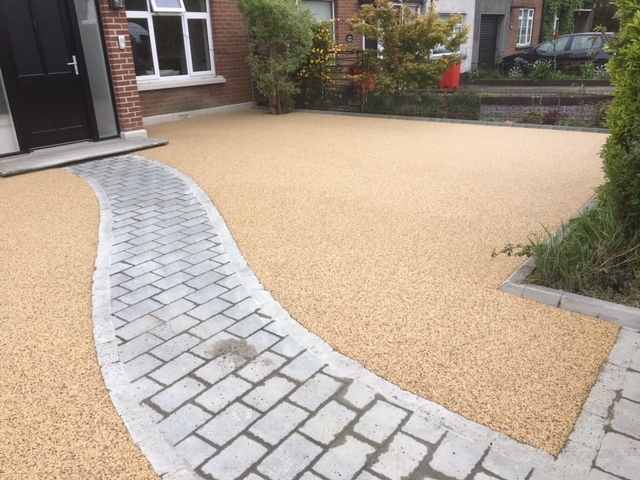 For a free no obligation quotation for you driveway solution in Dublin contact us today.